"Myorca" is a good "knock-about" timber lake cruiser sporting a new Vetus 4 cylinder marine diesel with only 33 hours on the clock. Other attributes include wide side decks, a door next to the helm, spacious cockpit, galley and enclosed bathroom with hot shower. Nice big windows provide for good visibility and a bright interior. Forward twin vee berth and two more berths in the saloon. 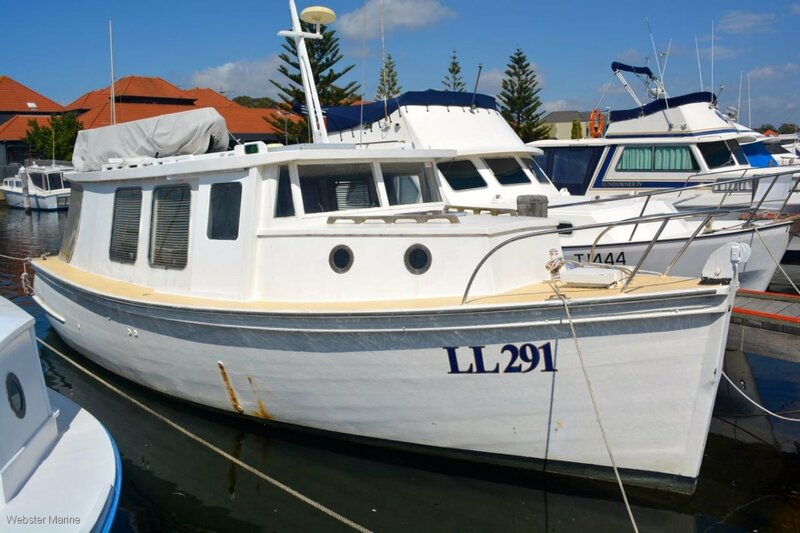 Built of planked NZ Kauri, she includes solar charging, Waeco fridge, stove, Navman fish-finder, marine radio, TV, spotlight and removable dinghy davits (tender not included).